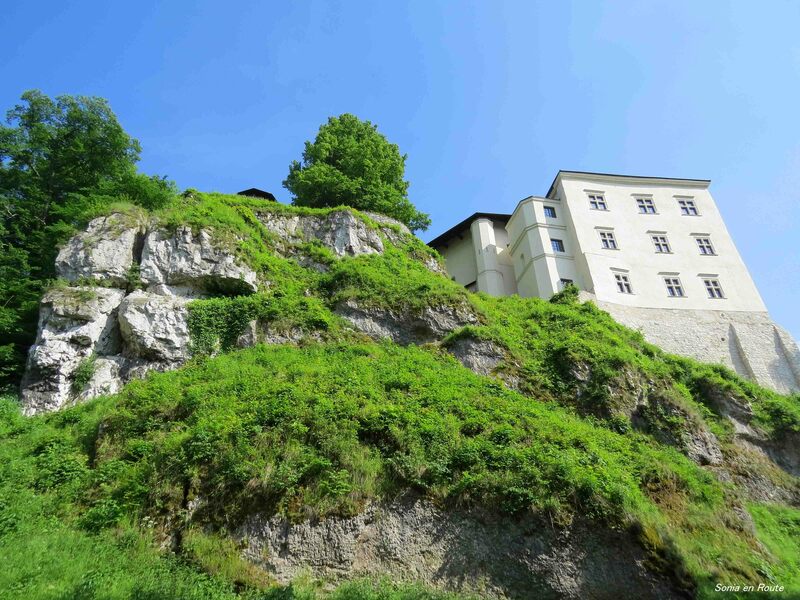 Pieskowa Skala is another castle on the Trail of Eagle’s Nests in Poland. 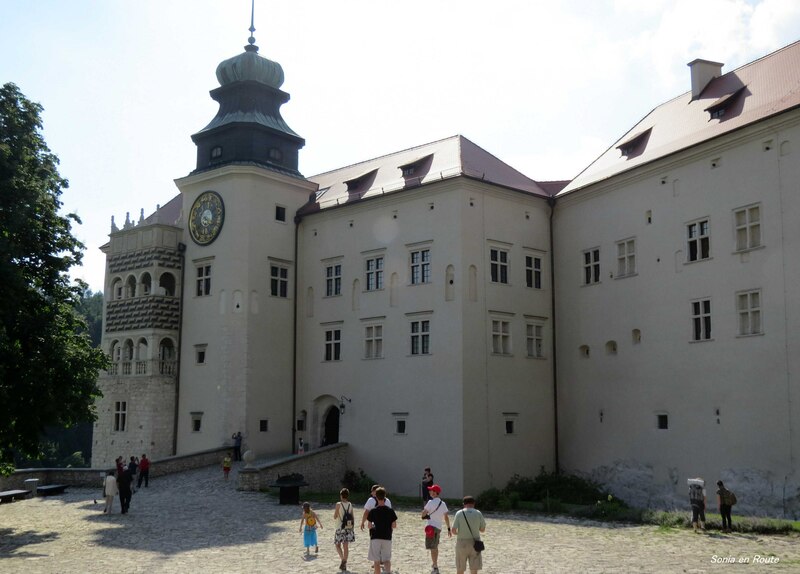 Pieskowa Skala was built in the 14th century as a fortified castle situated strategically on a high rock formation. Its medieval look was changed in 15th and 16th century and took on a Renaissance form. To get to the castle we need to hike for a couple hundred meters. Not a strenuous hike; rather a nice uphill walk. The main entrance leads to the outer courtyard where cobblestones cover the area and ivy climbs on the walls. 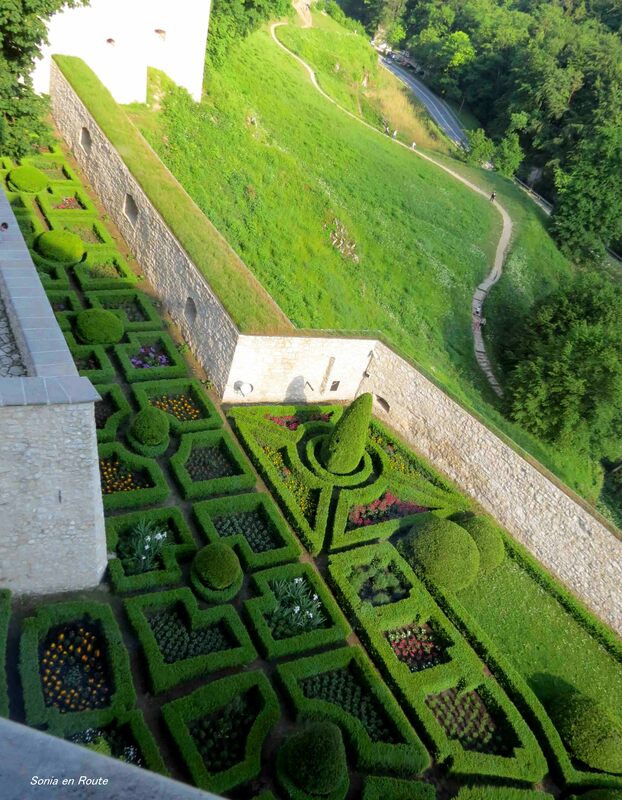 From this point we can lean over a stony parapet to look down at the garden. Unfortunately, the garden is not available to visitors. From what I saw standing there, the garden would be a pleasure to walk in.